The club is a mix of business training, business coaching, motivation, inspiration, confidence building for business owners, wanting to grow their business. It doesn’t matter what business you have, or what industry you’re in, or if you’re a start up, or been in business 20 years. The Business Cheerleading Club welcomes you to join. It’s a place you can grow, learn, understand, and support other business owners to develop. What works for one of us may not work for someone else. The more we can learn and share together, the happier our customers will be with our improved service and products. Do you get the business support you want? There are many places, as business owners, to get support for ourselves and our businesses. Some of us use our business networking groups for support, or our friends and family network. Over the years, I’ve had support from friends, family, other business owners, business advisers and network groups, (both online and offline). However, it’s never really filled all the gaps I’ve wanted, and it’s never been in one place. I’ve had to join all sorts of different groups to get support for different aspects of my business, like marketing, social media training, and online visibility. Yet there were still elements and questions I had that I didn’t know where to ask or get help! it’s hard to advise a business owner what options they have for their next step in their business. Do you agree? In the Business Cheerleading Club you’ll get support, encouragement & motivation from business owners, with all sorts of experiences who understand what it’s like & can help you. You can ask any question, knowing that no-one is judging you. In fact, everyone wants you and your business to succeed. Or a personal coach? Someone who is helping you to grow yourself, and therefore your business? Someone to bounce ideas off. Someone to challenge you and tell you that the garden isn’t always smelling of roses? If you do have a coach, you’ll know how valuable that time with them is to get things clear in your head about the options you have and the next steps you’re going to take, with the implications for each option. If you don’t currently have a coach, who do you use to tinker with your ideas for your next product or service? Who is your devils advocate to get the detail perfect before launching something new? Some of our best coaches in life aren’t ones we pay for. However, sometimes our unpaid coaches aren’t hard enough on us as they don’t want to hurt us, especially if we’re having a rough patch. A paid coach is being paid to help you progress. In life and in business. In the Business Cheerleading Club you’ll have an experienced coach asking you questions so you can ask yourself what the next step is for you. 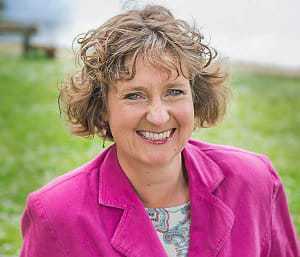 You can access the Action Spotlight coaching session, where you have 20 minutes working through your topic with Tracey-Jane. You’ll see others work through an issue, idea or problem, and you’ll learn from it to, as it’ll be similar to something you’re experiencing. Where do you go for business training? Some areas and towns some fabulous business training. It’s often free or low cost, from government, or European funded projects, for business owners (sometimes you need to meet specific criteria). Or do you use online courses to learn how to do something in your business? It’s important we learn how to do things in our business so we can either do it ourselves, or pass to someone else to do it for us. Over the years, I’ve found that there’s a variety of quality of business training, and it doesn’t always meet the needs of the business owners I’ve worked with, or wanted myself. I’ve often known more, or had more experience than the ‘expert trainer’ leading the course. A lot of courses are run at times that parents can’t do due to school runs, or childcare issues. Some courses are all talk and no action – you’re all enthusiastic when you’re there, but when you come to put it into practice, you just can’t remember the process. I’ve been working one to one with business owners over the last few years to help with a small aspect of their business they want to learn. To me it’s not difficult to sit down with someone, and work with them, (on their computer if that’s what’s needed), or find the right expert help for them that suits their learning style. I’ve started creating online training courses too for some standard things we all need in business. In the Business Cheerleading Club you’ll get mini training sessions each month, on one aspect of business. The tutorial will walk you through one small thing that you could work on/ review / start / improve. This is a video, with audio version available, plus a checklist and sometimes a template for you to carry our your review of that particular area of your business. You’ll also get access to more in depth training courses on an aspect of business for cheaper price. 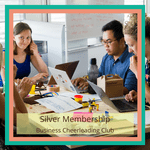 The Business Cheerleading Club is a member only club where business owners can get training, coaching and support, all in one place, to help their business to grow. You want a safe place to talk something through with other business owners who understand all about juggling and prioritising your to do list, (personal and business). 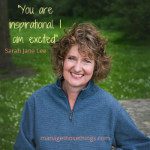 ongoing support in the online group from business owners, and experienced coaches to help you with whatever it is you need &/or to celebrate your successes. Being a business owner can be a lonely business, and you can feel that no-one understands what you’re going through. In the Business Cheerleading Club you’ll find like minded people, who want your business to succeed as much as their own & will help you to get what you need to get there. It’s beneficial to air a problem, and put it out there. It makes you think more deeply about it rather than it rolling around in your head. It’s lovely to have other people’s ideas & then work out what’s right for me. I recommend being part of the Business Cheerleading Club, whatever stage of business you’re at. 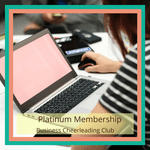 Ready to join the Business Cheerleading Club? We’ve an introductory offer in February, where you can join at a discounted rate, for the lifetime you’re with the club.